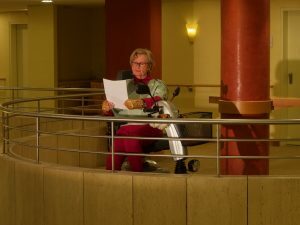 “DAMENGEDECK – A Tour into the Future” takes the theatre audience to a place in which the average age is 85 and 80 per cent those living there are women. 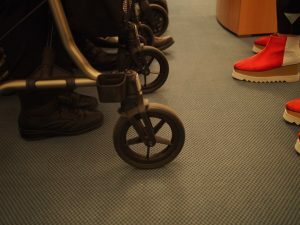 In light of omnipresent phantasies about an ageing population and a fear of demographic change, we enter a time capsule with our spectators and venture a thought experiment: what could a future society dominated by older women look like? 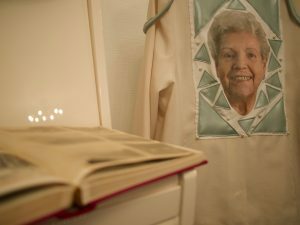 The GDA Wohnstift becomes an immersive space in which the authentic and fiction becomes blurred and experts of age answer questions on how being a woman in this special stage of life is performed and received. Eine Koproduktion mit dem Künstlerhaus Mousonturm und dem GDA Wohnstift Frankfurt am Zoo. Gefördert vom Kulturamt Frankfurt, dem Fonds Darstellende Künste e.V. und dem Frauenreferat der Stadt Frankfurt. In Kooperation mit dem Ladiez. kulturelle und politische Bildung für Frauen e.V.